Last week we were proud to announce our keynote speakers for this year’s Innovation Fusion event. This week we want to dive deeper into their backgrounds and why we’re so thrilled to have them grace our stage this June. Aron Di Castro has been with Google since 2008, and has been leading global business development and partnerships at Waze since April 2017. Waze is a community-based traffic and navigation app that was developed in Israel and was acquired by Google for a record $1 billion. Throughout this wild success and subsequent growth, the company has always maintained its scrappy start-up mindset. Di Castro’s affinity for start-up culture runs deep. Prior to joining Waze, he led the Google ‘Startup Nation’ department. He and his team focused on scaling digital marketing activities for global startups and tech-firms spanning B2B and B2C. His tech background and start-up mentality, make him a fantastic resource for our audience at Innovation Fusion. We can’t wait to hear his perspective on Waze’s big plans for growth, and the partnerships with municipalities, government, startups and large enterprises to create smart cities. 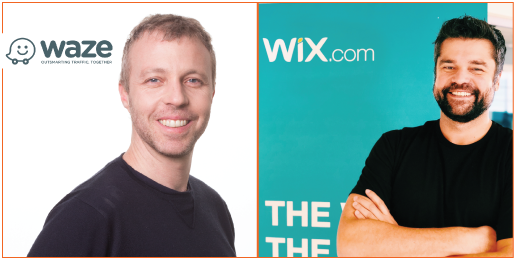 Danny Brigido currently co-manages the over 120-person Wix Customer Solutions office in Miami, Florida, which he played an integral role in developing the office opening in 2014. Headquartered in Tel Aviv, Israel, Wix.com is a leading cloud-based website development platform with millions of users worldwide, making it easy for everyone to create a web presence. Brigido was involved in all aspects of the Miami site’s development, including streamlining training to facilitate rapid growth, adopting protocols to take into account offsite management and most importantly, recruit, develop and promote the right people. This experience launching the Wix.com office in a new market like Miami and growing it from 1 to over 120 employees is something we are excited for our Innovation Fusion attendees to learn from. And being a University of Tampa Alum, we can’t wait to give him a warm welcome back to Tampa! “I think the work done by FIBA is very important.” says Brigido. “We are in an age of innovation and FIBA empowers promising ideas encouraging their growth and development. Both Aron and Danny are sure to deliver compelling and educational presentations, and we are honored that they will travel to Tampa to bestow their knowledge on our Innovation Fusion guests on June 13th.